The annual events celebrate students who lead campus organizations. Each student received a certificate and attended a reception following the ceremony. 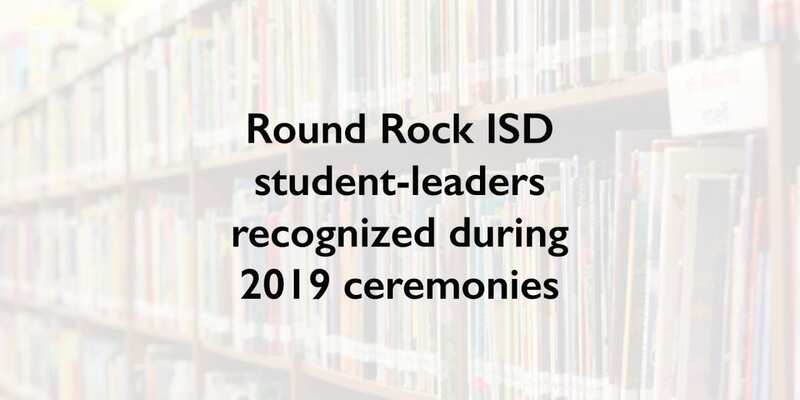 The events were organized by the Round Rock ISD Student Advisory Board (SAB), an organization consisting of 21 students from secondary campuses, with a mission to provide advice regarding student concerns to Dr. Flores. The group is made up of 10 middle school student council presidents, six high school student council presidents and five high school junior class presidents.